Blocked drains are a problem and until now they have been YOUR problem – but no longer. Just call us and we take care of your blocked drains so you don’t have to worry about them. Set up in 2011 by drainage specialist Andy Burden, ADS has gone from strength to strength and we are now one of the most trusted drainage specialists in the wider Wiltshire area, covering parts of Somerset and Gloucestershire as well. We believe in proudly serving our community and with years of industry experience behind us, we bring our expertise and professionalism to every job. We have an excellent safety record and always use the latest techniques to give you the best possible drainage solutions. You can trust us with your drains. Here at ADS we are also passionate about providing a local and cost-effective drainage service. 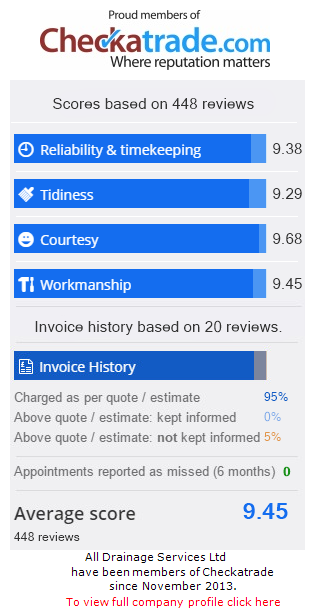 We value all our customers and always put them first; our excellent customer track-record speaks for itself. There’s nothing quite like a satisfied customer and a job well done for us here at ADS. Why call ADS for your blocked drains? We can’t ever get enough of talking about drains, so if you would like some professional expert advice on any aspect of your drainage (residential or commercial), call us now on 07545 244880 or fill in a contact form. Hobbies/Interests: Exploring drains, working all hours and Walking. Experience: Gordy has been in drains for over 18 years, his knowledge and skill sets set him apart from other engineers. We are really pleased that Gordy joined us in January 2018 and look forward to a long and successful career together.